Obama and beer are big news lately. 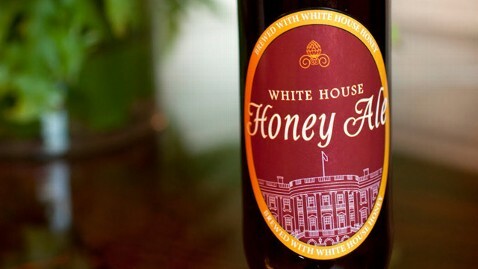 First, it was reported that he has the White House staff brewing two varieties of homebrew; one of which is the White House Honey Ale, brewed using honey from Michelle Obama’s bee hive, also onsite. Apparently Obama is traveling with the stuff too. Then a beer tent operator at an Iowa fair complained that Obama’s visit cost him $25,000 (something tells me that is gross is anything). Then some republicans wrote a really reasonable snarky commentary about it. Now, the good citizens of the United State (internet) are seeking to obtain the recipe for Whitehouse beer through the U.S. Freedom of Information Act. I note that the “White House Office” is exempt from FIPA. Not sure whether that would be defined to include kitchen areas, but I doubt it. Either way, I see no downside to Obama giving the recipe up, unless of course its on some sort of licence from an actual brewer. As the link above eludes to, local breweries are likely to profit off such disclosure. In the meantime, where is Harper on this. I could go for a pint of 24 Sussex Imperial IPA right about now.